Total of brand 'Bachmann': 1 factory cars, 0 reproductions, 1 total. Still in business, this manufacturer makes Model trains. 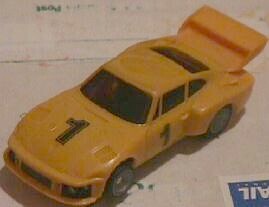 It produced slot cars in the 80's in (slightly smaller) scale than 1/32. Motors were "ho"-like, mounted as side winder.